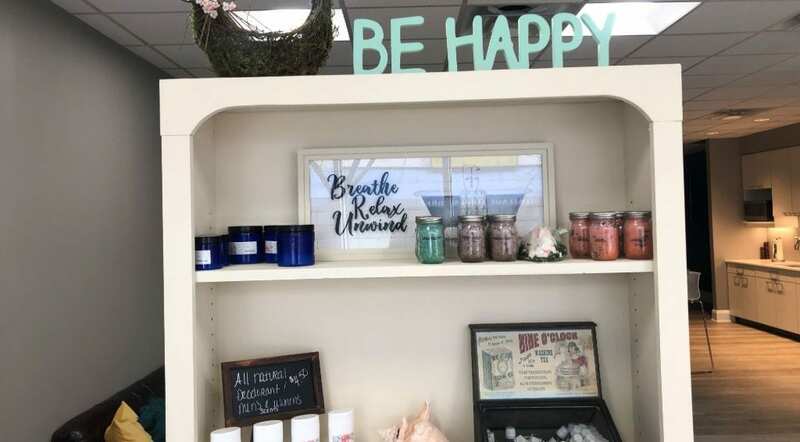 Meet Blue Breeze Bath Boutique – announcing Dundalk’s newest stop for all-natural bath & body products, located in The Forge, our business incubation space at 11 Center Place. To officially welcome this addition to the Historic Dundalk Town Center, we’re hosting her Grand Opening Ribbon Cutting on Sat., April 6, 12:30 pm. You’re invited! 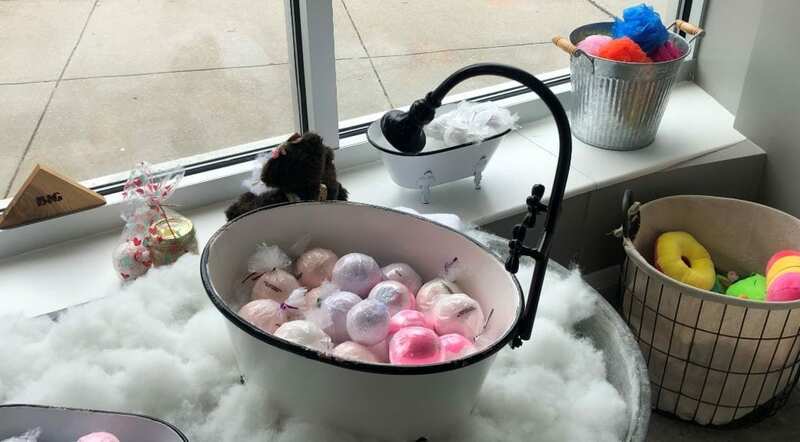 Stay for her Bath Bomb Class, which runs from 1 – 5 pm. There is a fee, so check this out on her Facebook page. The owner, Tami Roloff has been creating the products for the past three years. 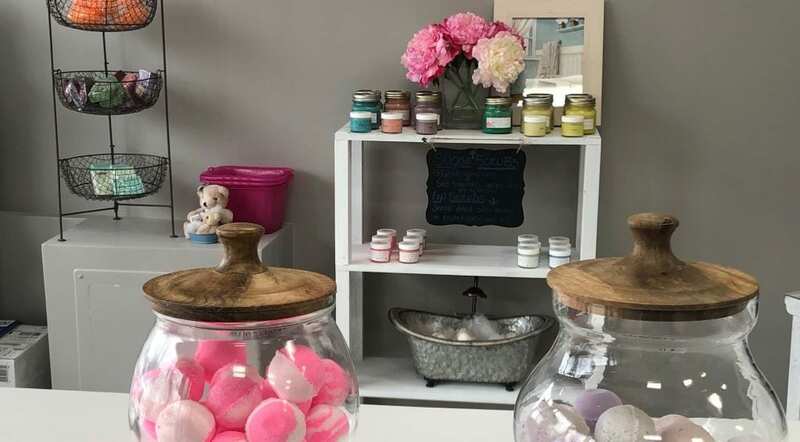 She originally started with bath bombs and has since expanded to additional products such as body butter, face scrub, lip scrubs, beard oil, roller oil and more. Every item is handmade with mostly organic or natural ingredients and there are absolutely no chemicals. “Anything chemical is potentially bad. It can cause eczema, dry patches and other skin problems,” she warns. As a bath lover, Tami knows how bath bombs enhanced her experience but had concerns about the chemicals used to make them. So, she started making her own products and immediately noticed changes to her skin–particularly how much softer her skin became, and her customers have noticed it for themselves, too. “I’ve had customers with dry skin use the products and come and tell me how the bath bombs have helped so much! They contain organic coconut oil which releases in the water, so while you’re soaking in the bath, the bath bombs help moisturize and soften your skin. And people love the fresh smell!” She added that her soaps are fragrance-free. In addition to coconut oil, Tami also uses cold press extra virgin olive oil in most products, organic unrefined coconut oil, and more pure ingredients. Everything is organic or natural and aluminum-free. Since launching Blue Breeze Bath Boutique, Tami has sold her products at the Perry Hall Apple Festival, Rosedale Farmers’ Market and other farmer’s markets. She’s decided to operate out of Dundalk because she wants to be closer to the clientele she’s grown in the area and can’t wait for them to visit her at the Forge front window space! Ready for softer, healthier skin? You can find her at 11 Center Place Suite 1, Wednesday – Friday, 11AM-6PM, and Saturdays 11AM – 4PM. Click here and view more of her products, and see what’s going on with classes on Facebook.